With the City’s Xcel franchise agreement expiring in August 2010, City Council unanimously agreed at their April 13 Study Session to hold off on renewing a long-term agreement with Xcel and to instead extend the franchise agreement for a year or two. Although this nod of agreement was not an official City Council vote, it was, none the less, an important and historic occasion. 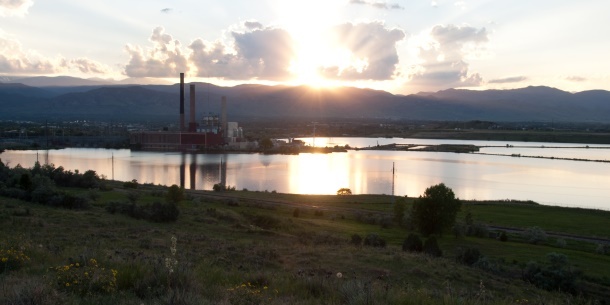 The City’s intent is to partner with Xcel to meet Boulder’s goals regarding reducing emissions of greenhouse gases and stabilizing future electric rates for Boulder residents. Negotiations are currently underway between the City and Xcel and there could be an agreement by the end of May. The objectives of the negotiations are to address meeting the City’s Climate Action Plan goals and to supply Xcel with a “laboratory” to learn how to deliver a high level of renewable energy to its customers and make full use of its Smart Grid. City Manager Jane Brautigam recommended that, in the event that there is no agreement, the City extend the franchise agreement for at least one year so that the City and Xcel could continue negotiations. The City Manager also pointed out that the City has focused discussions more on the energy demand side than on the supply side so it is time to have a long term energy strategy discussion. The next step will be for the City to engage Xcel at the top corporate levels to gain their support for this potentially ground-breaking project. This was a huge night for Boulder! Unanimous accord on this all important issue shows that this Council is ready to lead Boulder into the new energy economy, and that Boulder is ready once again to lead other communities by substantially reducing our carbon footprint. Hunter Lovins, founder and president of Natural Capitalism, Inc. The unanimous Council agreement demonstrated a unified resolve on the part of Council members, and was due in part to efforts by members of Clean Energy Action, especially Leslie Glustrom; the City’s Decarbonization Tech Team; and the Boulder Climate Action Network. UPDATE: One week after the game-changing Study Session of April 13, at the City Council meeting on April 20, 2010, City Manager Jane Brautigam announced that she and David Driskell (Director of Community Planning and Sustainability) have moved quickly and have met with David Eves, Jay Herman, and Craig Eicher of Xcel. The City offered a draft proposal, “Partnering for Rapid Decarbonization,” which asks for a 2 year extension of the franchise agreement through December, 2012. During this extension, Xcel and the City would enter into a joint study on rapid decarbonization. Xcel is considering this possibility. Jane indicated that the written proposal is being sent to City Council, the City’s Decarbonization Technical Team and to Xcel. Councilmembers also discussed requests from Xcel for individual meetings, and some suggested that a public Study Session with Xcel, or a less formal meeting in the Municipal Building lobby might also be a good way to discuss issues and include the public.